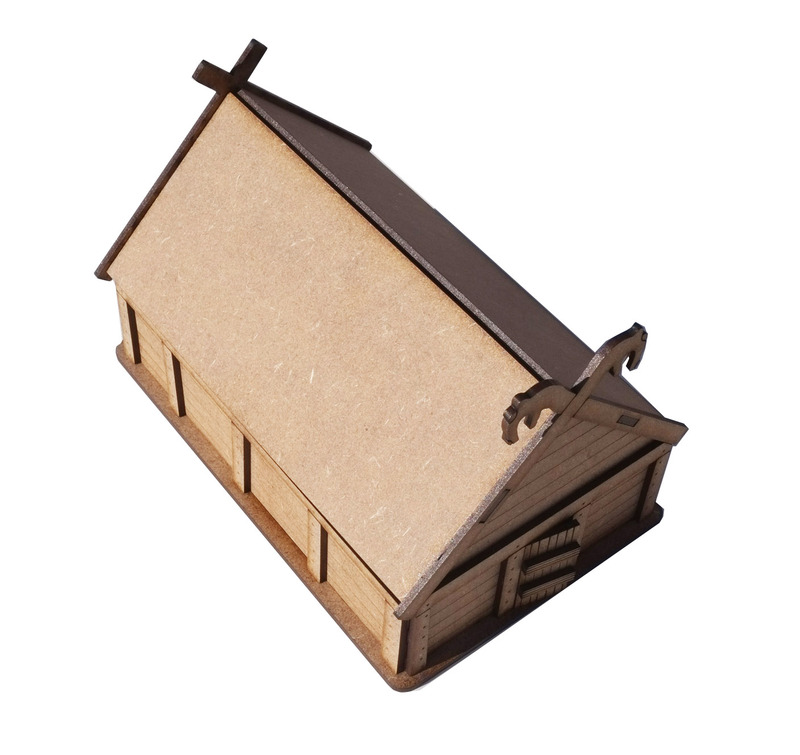 Our viking hut is ideal for saga or any other dark age system. It's also great for fantasy gamers. The hut has a removable roof that reveals the interior with a plan engraved upper section accessed by a ladder. The kit is supplied with fur for a thatch effect. The hut has engraved plank detail and raised beams with wooden peg hole effect engraved in. 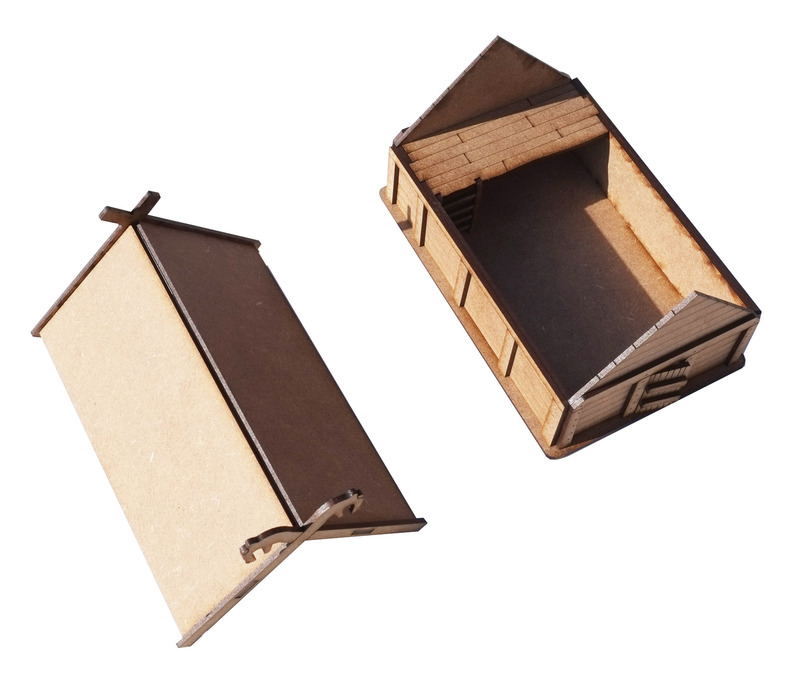 The hut measures 135mm long, 90mm wide and 85mm high to the roof apex. The kit requires assembly with PVA glue and painting.